Just for fun, this is what Avenatti said on MSNBC. So ... which is the lie? The original story or the retraction? Laserpointer. The MSM is like a litter of cats chasing them like crazy. I'm still waiting for the moment when it dawns on them. It never dawns on the cats. People jumping over cliffs just to reach their own conclusions !! I'm a dog person anyways. There's no way Donald did not have knowledge before hand of the raid on his lawyer's office. If he really has a bunch of NSA Q team autists working at his beck and call surely they would have had intercepted comms. Also Mueller can't have any public Optics of being on Trump's side either as that would fall into collusion. I have this weird feeling that Trump is baiting everyone. Last night's Giuliani revelation re: Cohen payback was the entire reason he went on Hannity. 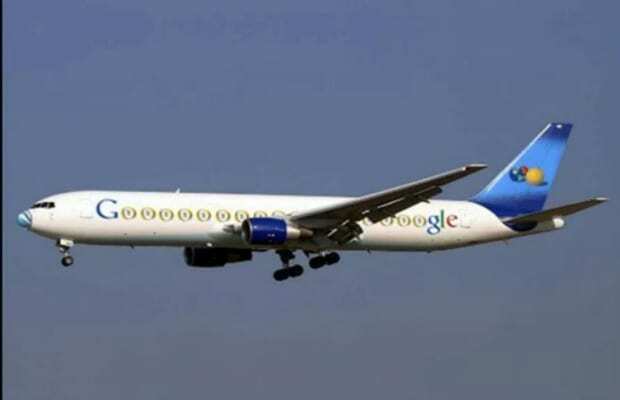 That plane looks exactly like googles 767!! Google image search "boeing 767 google"
Then look at q's image. He said CA was special. Focus on the blue and green diamonds and squares surrounding the jetBlue text on the vertical stabilizer.